Swedish energy group Vattenfall has won a deal to install charging points in Canterbury in partnership with BMM Energy Solutions. The deal has been awarded by Canterbury City Council and will see the two firms deploy 12 InCharge charging stations in a number of public car parks and street bays in the area from this month. Power for the chargepoints will come from Vattenfall’s British wind farms, including projects off the Kent coast. The move will see charging stations, each with two charge points, installed in the Pound Lane, St Radigunds and Watling Street car parks, paid for by a £19,000 grant from the Government’s Office for Low Emission Vehicles (OLEV). Further charging points will go live in various car parks across the city, paid for by a £53,214 grant from OLEV and a contribution from Vattenfall/BMM. The installation of the new charging stations is part of the council’s plans to improve air quality in the city; the stations were one of a raft of measures contained in the Air Quality Action Plan approved by councillors at the end of last year. Cllr Simon Cook, Leader of Canterbury City Council and Chairman of its Policy and Resources Committee, said: “The installation of these first EV charging points is an important first step in the journey to provide the infrastructure that will deliver cleaner air for the district. The project comes hot on the heels of Vattenfall’s tender win with its first partner, South Norfolk Council, to install 20 charging points late last year. 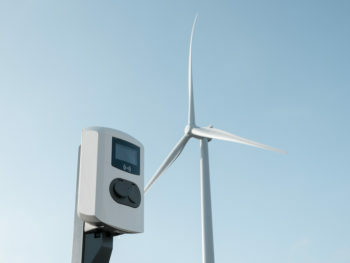 This followed the launch of Vattenfall’s InCharge electric vehicle charging business in June 2018.